I have read countless novels about World War II. I have read about the war from the Jewish perspective. I have read about the war from the French perspective and the British and the American perspectives. Books I have read have dealt with the war from the eyes of women, and soldiers, and children. But I, at least, have never read a novel that shows World War II from the eyes of regular Germans. How could they have let this happen, we all wonder. I would never have stood for it, we all insist. 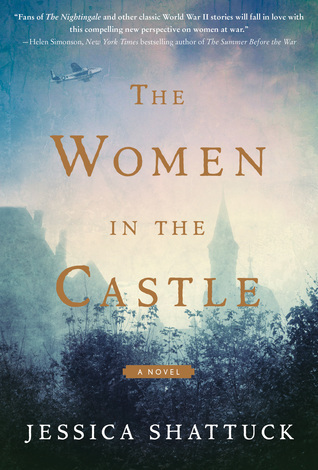 The Women in the Castle, a novel by Jessica Shattuck, presents World War II from the eyes of folks on the front line – the German citizens. It is the story of three women – widows of resistence fighters who attempted – and failed – to assassinate Hitler in 1944. One of the widows, Marianne von Lingenfels, returns to the castle that was the home of her husband’s family for generations with the other two widows and their children, fulfilling a promise she made to take care of these people should their plan fail. It, of course, failed, and the men were all put to death. The women paid their price as well. One fell into the unfortunate hands of the Soviet army. Another had been placed in a camp with other German refugees, awaiting release by the Allies. Now they are trying to put their lives back together. Each of the women has her own story, and it isn’t always what the reader expects. But Shattuck paints a very clear picture of Europe – particularly Germany – following World War I, and presents background that makes the reader understand that things are not just black and white, as we all had hoped. She does this without even coming close to being a Nazi apologist. I couldn’t put this novel down. 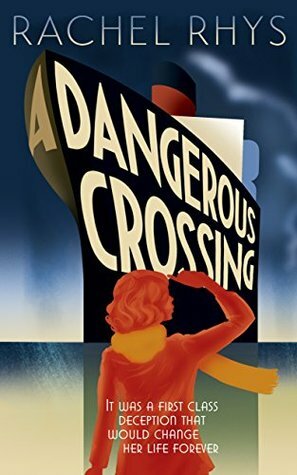 The writing is exceptional and the story was fascinating. The characters were well developed and interesting, if not always likeable. The book would be perfect for a reading group or book club. Once you start reading books that take place during World War I and World War II, it’s hard to get away from it. Amazon and Goodreads both start feeding you recommendations based on what you’ve been reading and there are somewhere in the neighborhood of a million books that take place during the world wars. Most are terribly sad. The Chilbury Ladies’ Choir was a glimpse of blue sky in the dark sadness of death and hatred that war brings. 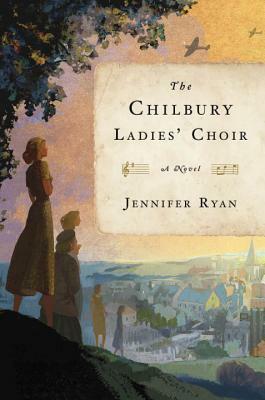 The Chilbury Ladies’ Choir is a debut novel by writer Jennifer Ryan. Though certainly not a deep and meaningful literary look at WWII as, say Sophie’s Choice, I truly enjoyed the story and the characters. When it becomes clear that England must become involved in World War II, the small English village of Chilbury isn’t immune. One at a time, the men of the village are called to serve their country, leaving the women to carry on. Though the vicar advises that the town disband its choir because there are no male singers, the women elect instead to continue, making the controversial choice to have a women’s-only choir. Egad! But the women’s choir not only provides an outlet for singing, but more important, it provides a support group for the women of this village. The story is told primarily through letters, which give readers a look at five particular women and how they are impacted by the war. Among the five women, particularly meaningful to me was a timid young widow whose only child is called to serve. 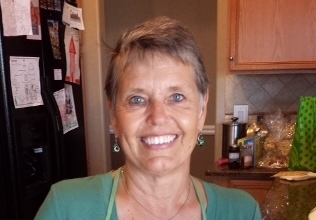 As the weeks and months go by, she becomes stronger and more independent. She eventually becomes a driving force in keeping the town together. The Chilbury Ladies’ Choir was a gentle reminder that war not only affects those fighting the battles, but also those left behind. 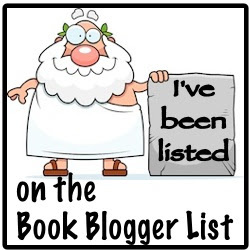 I loved the book and give it a strong recommendation.